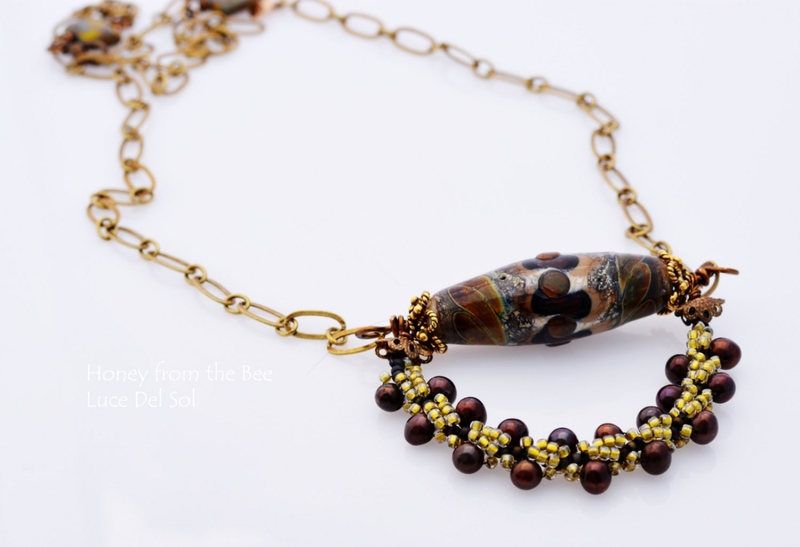 Luce Del Sol, my earth tone artisan necklace inspired by Italy, features lampwork by Vicki Lee and a beadwoven rope with dark chocolate pearls and tiny Japanese glass seed beads. 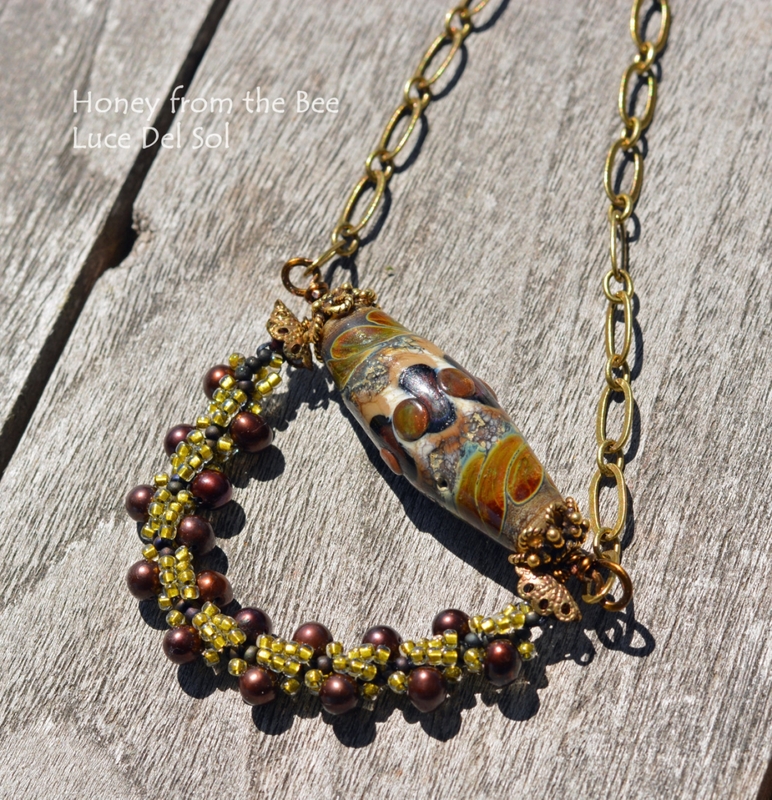 Vintage brass chain and a couple of glass beads finish this simply elegant necklace. Adjustable to 24 inches with a lobster clasp. This necklace was inspired by Art Bead Scene's May challenge.